You can tell the Radeon VII is only a week away by the sheer number of performance figures scraped off the web these last few days. 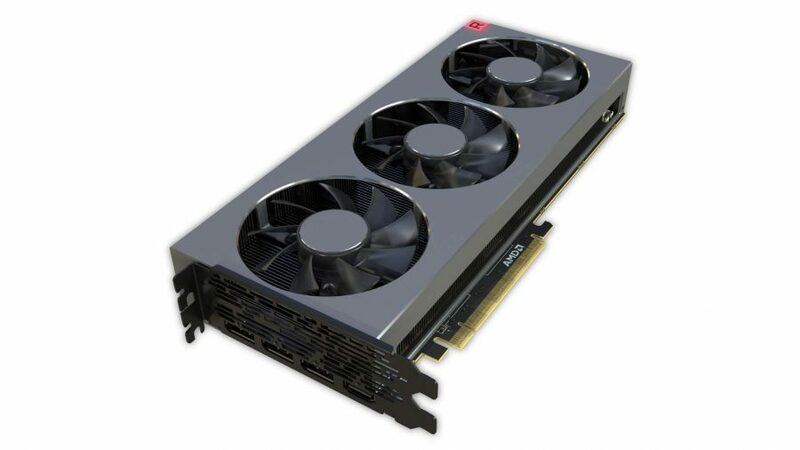 This time we’ve spotted a ‘Generic VGA’ device in the 3DMark Time Spy database with specs not all that dissimilar from those for the upcoming Radeon VII graphics card from the red team – set to launch on February 7. Manufactured by Advanced Micro Devices Inc., the entry in the 3DMark database also denotes a graphics card with 16GB of memory – on par with the HBM2 memory configuration of the upcoming Radeon VII. To be fair, that also matches the loadout of the near-identical Radeon Instinct MI50 compute card the red team launched in the AI and machine learning space, but we’ll side with Occam’s Razor on this one and draw the most obvious conclusion. The supposed Radeon VII scores 8,854 on graphics score alone, that score is just a touch higher than the last leaked result at 8,700. We also now have the combined score for Time Spy, with the upturned benchmark indicating the 7nm GPU manages 8,863 once paired up with the octacore Ryzen 7 2700X. In our own benchmarking – bear in mind our test bench is fitted with an i7 8700K rather than an identical AMD chip – that combined score places the Radeon VII just ever-so-slightly shy of the RTX 2080. It is far and away better than the RX Vega 64 at 7,133, and easily tops the RTX 2070 at 8,357. As for the more representative graphics score, we only have the RTX 2080 and Radeon VII scores for comparison. Against the RTX 2080 in GPU grunt alone, the gap between the rival cards only grows. The Radeon VII’s 8,854 is topped by the RTX 2080’s 9,645. AMD announced the Radeon VII over at its first ever CES keynote. The “world’s first 7nm gaming GPU” will launch on February 7, and AMD are promising RTX 2080 performance from its 60 Vega Compute Unit count and 7nm die shrink. Early leaks are promising so far, with Firestrike at 4K favouring AMD’s card over Nvidia’s RTX silicon.